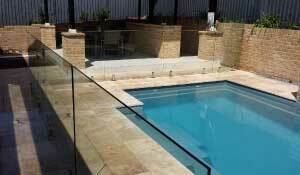 Sydney Frameless Glass Balustrade and Pool Fencing Experts! If you are looking to sell your home or update your Sydney property to a modern standard then frameless glass pool fencing is the stand out choice. Frameless glass can create a beautiful and safe pool area that will add value to your Sydney residence. Toughened glass provides a high level of durability and longevity whilst seamlessly blending with all styles of architecture and landscaping. More. Making the choice to use frameless glass balustrades inside or outside your Sydney home is an excellent choice. For balconies, decks, entryways, stairs and mezzanines using glass balustrade will create that extra wow factor for your property. The applications for frameless glass balustrade are endless and sure to boost the appeal and value of your Sydney property. More. 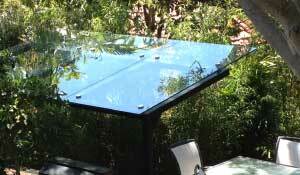 Glass With Class can create custom frameless glass or semi-frameless glass features including roofing and screening. Residential and commercial properties around Sydney can benefit from using frameless glass in innovative ways. Check out our gallery for more ideas and inspiration for your custom projects. Give Glass With Class a call to discuss your project. More. Glass With Class supply and install the the finest frameless glass Sydney has to offer. Our staff have the experience of more than 12 years in the construction industry across the Sydney region. With building and construction certification and being HIA members you can be confident all installations meet Australian Standard and the building code. Therefore our customers can rest assured of elegance, quality and satisfaction in both residential and commercial projects. Frameless Glass Pool Fencing has become the recent trend when deciding on a protective barrier for your pool – and for good reason. Glass provides durability, longevity and stunning good looks. Since your pool is beautifully designed and a focal point for your family and friends, frameless glass is the best complement for these spaces. Glass opens a clear view of your pool area and creates a finished look whilst its maintenance cost is relatively low requiring only a clean once every few months. 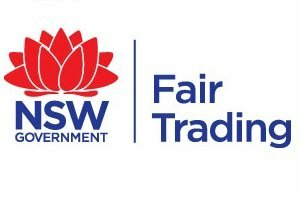 Glass With Class supply high quality construction materials such as pool safe glass and corrosion resistant stainless steel spigots which are certified and approved for pool fencing to Australian standards. Our design process consists of creative and innovative methods which meet regulations without sacrificing style. Frameless glass is suitable for nearly all situations that can arise for Sydney pool areas. We can design stylish custom panels for sections requiring the avoidance of climb points and traffic-able zones. Whether your surface is a timber deck, concrete or pavers, or even garden areas we can create a solution that you will love. Glass With Class is a top provider for frameless glass balustrade systems in Sydney, NSW. 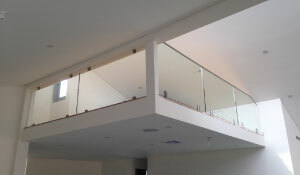 Glass balustrades give a feel of contemporary elegance that blends with most styles of home. Frameless, clear and toughened glass used on your balcony ensures that you have an uninterrupted view of your internal and external spaces without compromising the security of your property. Due to its strength it is safe for children who like playing on the balcony when you are not around. We offer a range of handrail styles to compliment the design of your home. For example stainless steel in handrails are popular in round or square which can be either offset from the glass or mounted to the top of the glass. We can also offer timber handrail styles to match your floors or design elements. We are happy to discuss the options for your project. Give us a call! Glass With Class Australia provides the best quality frameless glass to clients across the Greater Sydney area. When you want the ultimate in modern frameless glass services for the best price call Glass With Class. By dealing with us you will get advice from an experienced local builder, competitive prices, a hassle free installation and a fence with a touch of class. You can arrange a no obligation quote using the contact form or give us call to discuss your project. Glass With Class Australia installs superior quality Australian Standard pool fencing across Sydney using a variety of installation methods to suit all jobs. Frameless glass is the right choice for Sydney properties due to its immediate wow factor, open plan feeling, durability and longevity. Meet your safety obligations as a home owner whilst adding value to your property. Glass with Glass can provide you with all the information you need to make the correct choice for your frameless glass pool fencing and balustrade projects. Custom glass solutions for difficult sections, a mix of glass fencing and aluminium, removal of existing and outdated fences, safety and compliance with regulations are all taken care of. Be sure to check out our service areas and give us a call today!